Aberdeen based businesses suffering from the downturn in the oil industry are now investigating the significant savings that can be made on water costs – according to a leading water supplier. Alan Munro of Thames Water Commercial Services says the firm is receiving an increasing number of enquiries in the city as Oil and Gas firms look for new and innovative ways to cut costs during a turbulent period in the market. With the retail market only opening up to competition in Scotland in 2008, many companies remain unaware that they can choose their water supplier, which can result in significant cost savings. 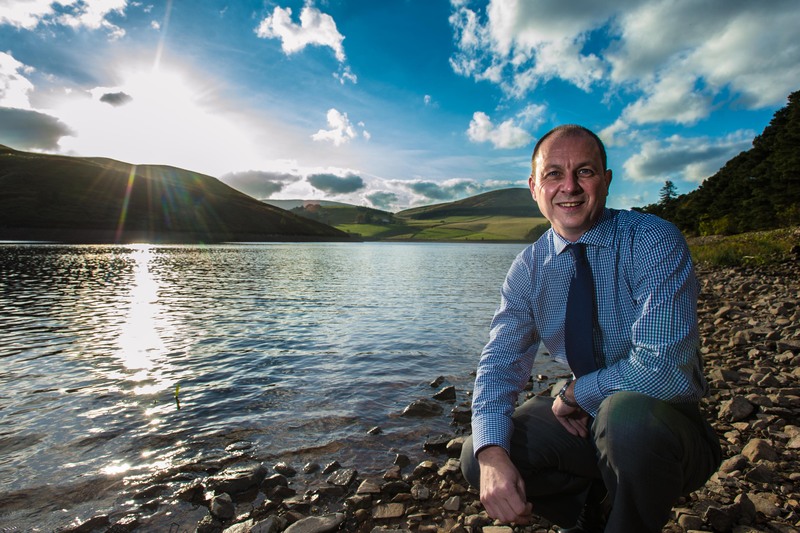 Munro believes that as the oil industry has suffered from the downturn, firms have been on the lookout for any potential cuts to operational costs and water is one of the areas where they can make easy savings. He said: “It’s really just common sense that when a business goes through a difficult time, it begins to look to save money from places it hasn’t previously considered before. Water has become one of these. “On average we can save businesses between 10-15% on their bill every year. Some firms in the North East spend six or even seven figure sums on their annual water bills, therefore this is a potential saving that is worth investigating. One recent enquiry has resulted in potential savings in excess of £30,000 per annum being identified”. Firms have also been keen to find out more about how they can reduce the amount of water they use and the amount of wastewater they return to the public sewer network as the result of the day to day running of their business. Alan continued: “When any business switches to us we immediately look at how we can help cut down its consumption, which quite often leads to even greater savings than the initial discount and is great in terms of Corporate Social Responsibility for that business. “From day one our team will work collaboratively with the business to develop a water management strategy, review end to end processes, and introduce new technologies to help monitor consumption – all of which can help significantly reduce costs. Since its launch in 2013, TWCS has attracted more than 150 business customers from a wide variety of sectors including finance, leisure, commercial and retail sectors. All have enjoyed average savings of between 10-15% on their annual water spend through switching supplier, with some clients saving as much as 20%. Since 2008, when the retail market was opened to competition in Scotland, around 130,000 non-household customers have been able to choose who can supply their water and wastewater services. England will see a similar competitive water retail market opening in 2017. NEED PR TO BENEFIT YOUR BUSINESS?